The hilarious fun continues with thousands of new and outrageous comparisons. 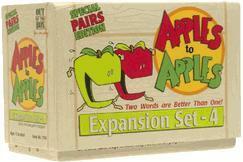 Just mix these cards into your Apples to Apples card set and you're ready to play. 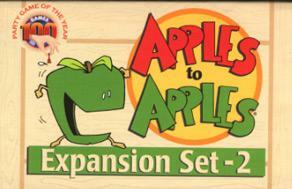 Named Best American Game by Tiger Award. Named Platinum Award by New York Amsterdam News. Named Seal of Approval by National Parents Center. Named Three Star Award by Canadian Toy Testing Council. 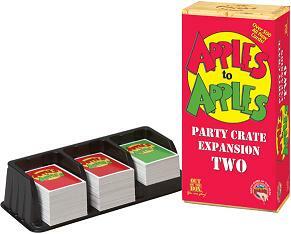 Named Top Ten Games Award by Wizards of the Coast.